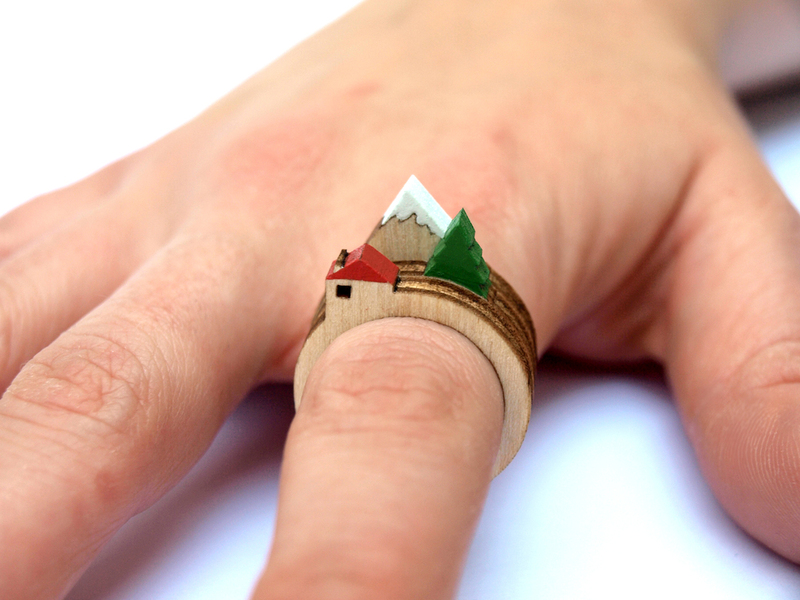 Adorn your knuckles with a thoughtfully designed miniature wooden landscape. 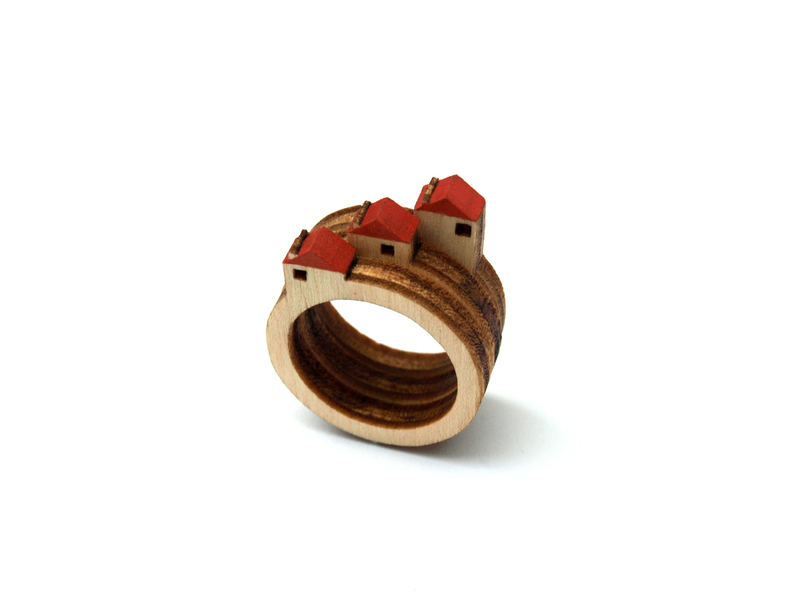 Each tiny landscape set is comprised of 3x laser-cut high quality birch plywood rings. Each ring is a slightly different size and position giving an illusion of depth. 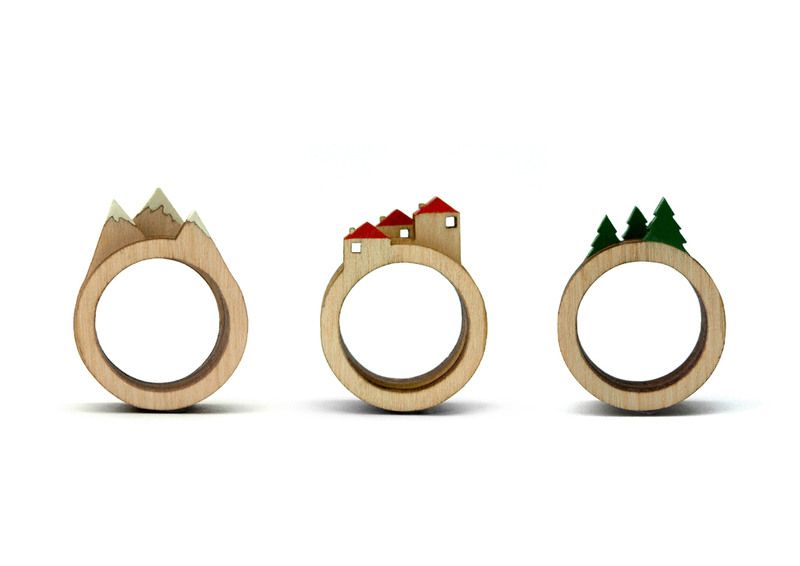 The rings are available in 3 styles, Houses, Trees and Mountains. Each one is carefully hand painted with a durable enamel finish before being wrapped in its own uniquely designed protective packaging. 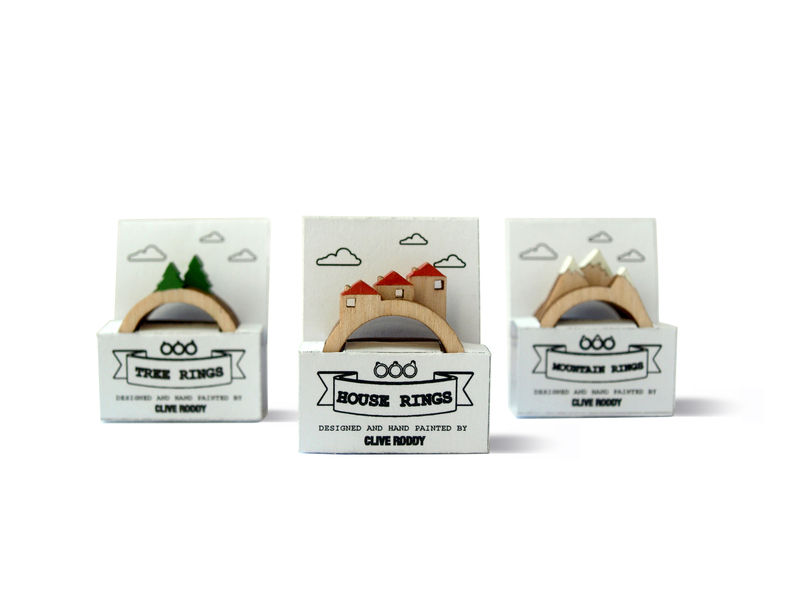 The ring sets are designed to be fully interchangeable with each other. Combine the different sets for almost endless combinations. Sustainable and very strong high specification birch plywood. Durable enamel paint. All internal ring diameters are 18mm.